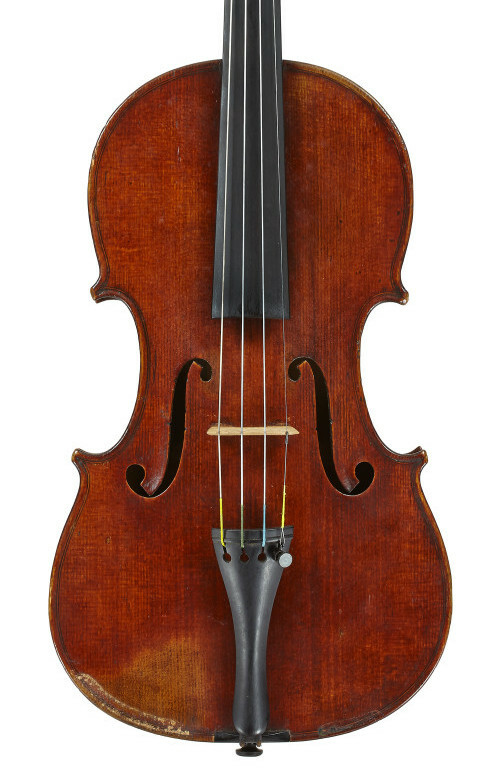 This violin was owned by the family of the Dutch educator, writer and pacifist Kees Boeke for over a century. Boeke, who was also a good violinist, had moved to England to complete his studies in civil engineering. There he met Beatrice Cadbury, daughter of the chocolate magnate Richard Cadbury, and the pair married in December 1911. To mark the occasion Beatrice’s parents bought the violin for £100 from the W.E. Hill firm and gave it to Kees as a wedding present. Kees and Beatrice were Quakers and during World War I Kees was deported back to Holland for preaching pacifism. After the war, the couple remained in Holland but refused to pay tax on the grounds that part of it was to be used for the army. As a result, on one occasion the Dutch tax authorities auctioned off their possessions, including the violin, to pay the tax due. The violin was eventually tracked down and returned to the family. Kees became an education reformer and in 1926 founded De Werkplaats school on Quaker ideals. The school still exists today and includes Princess Beatrix, the mother of the current Dutch monarch, King Willem Alexander, among its former pupils. Kees also wrote Cosmic View in 1957, an essay for children on the vast differences in scale found within the universe. Kees’s grandson inherited the violin after Kees’s death in 1966 and it was sold to the current owner in 2013. In 1911 the violin was sold with a Hill certificate identifying it as a genuine d’Espine with an original label.